Pseudoplocephalus: In search of Cryolophosaurus. Palaeontology, museums, and dinosaurs. Mostly. Today my supervisor Dr. Philip Currie and his research associate and wife Dr. Eva Koppelhus embark on a two-month expedition to Antarctica as part of the larger Transantarctic Vertebrate Paleontology Project. And just what the heck are they looking for all the way down there? This is Cryolophosaurus ellioti, the Frozen Crested Lizard. It's an important animal for a couple of reasons: 1) it's weird, 2) it's old, and 3) it's cold. It is one of just a handful of dinosaurs known from the continent and as such it's a pretty important animal biogeographically speaking. Antarctica was not exactly warm during the Jurassic, but it was actually pretty close to its current position over the south pole and would have had extended periods of darkness and potentially cool winters. It is also from a poorly-sampled age in the evolution of theropods, the Early Jurassic, and so it can help us understand early theropod evolution. 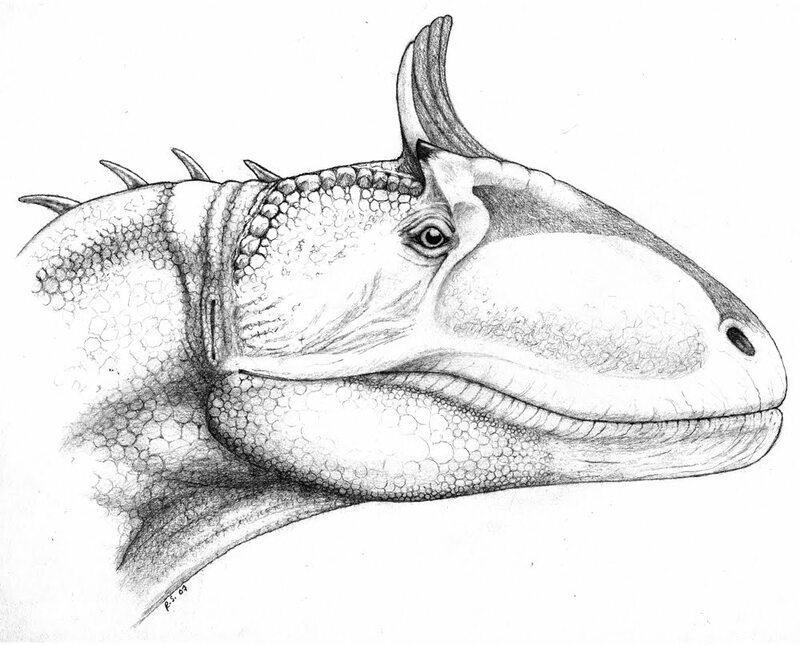 Cryolophosaurus also has some pretty interesting anatomical features, the most notable of which is the transverse crest on the top of the skull. The crest is formed of the lacrimal and nasal bones. Cryolophosaurus is very large considering that it is Early Jurassic in age - it is of comparable size to some of the largest Ceratosaurus specimens from the Late Jurassic. A recent phylogenetic analysis showed that Cryolophosaurus is found in a clade of medium-sized Early Jurassic theropods that includes Dilophosaurus wetherilli, 'Dilophosaurus' sinensis, and Dracovenator. You can keep up with the expedition via the Field Museum Expeditions website, which will have more information in the coming days - click on the box next to "Pete Mackovicky and Nate Smith - Dinosaurs in Antarctica" near the bottom of the map. Update: The expedition website is now up. There is a stunning amount of resources on the website, so I'd highly recommend checking out expeditions@fieldmuseum - Beardmore Glacial Region, Antarctica. Hammer WR, Hickerson WJ. 1994. A crested theropod dinosaur from Antarctica. Science 264 (5160): 828–830. Smith ND, Makovicky PJ, Hammer WR, Currie PJ. 2007. "Osteology of Cryolophosaurus ellioti (Dinosauria: Theropoda) from the Early Jurassic of Antarctica and implications for early theropod evolution. Zoological Journal of the Linnean Society 151 (2): 377–421. Sounds like quite the expedition to Antarctica! Mamma mia, è un dinosauro! Being a palaeontologist is awesome! I read things on the Internet! Would it be rude to use your warforged as the portrait for mine in an upcoming dnd game i'm playing I REALLY love it but sadly i don't have the money to commission you for something similiar. I'm Moving...To a New Website!